Welcome to W. Jay Hunston Jr. P.A. 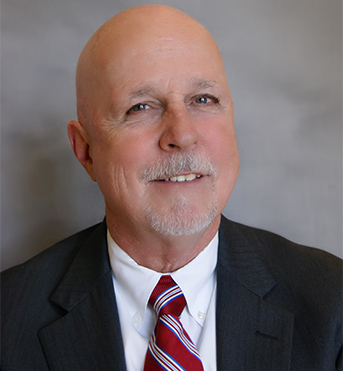 Welcome to the homepage of W. Jay Hunston, Jr., P.A.! This page provides you with access to information concerning our services, including scheduling functions. Please feel free to browse or Email us at wjh@hunstonadr.com to obtain additional information. Mr. Hunston’s calendar is located to the left, showing booked and available dates for dispute resolution sessions. Once you have selected an available date for your mediation session, please click on the calendar date to reserve the date or email us at wjh@hunstonadr.com. We book sessions on a first come, first served basis, so until you receive confirmation of the booking, the date will remain open and available on the calendar. 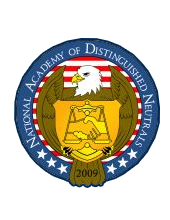 Our Mission: To provide and promote quality dispute resolution services in all ADR areas, including mediation, arbitration, private-judging, special master services, facilitation, conciliation, and fact-finding. Positive, creative results. When the mediator or facilitator truly believes in the process and the results that can be achieved through proper utilization of the process, there is no limit to the creative solutions which can be designed by parties to a dispute. 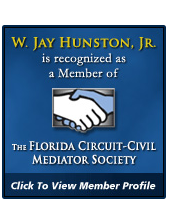 - W. Jay Hunston, Jr., P.A. An arbitrator owes it to the parties and their attorneys to enter a reasoned award that concisely decides all contested issues, without favoritism to any party or desire to please everyone in hopes of obtaining future arbitration business.